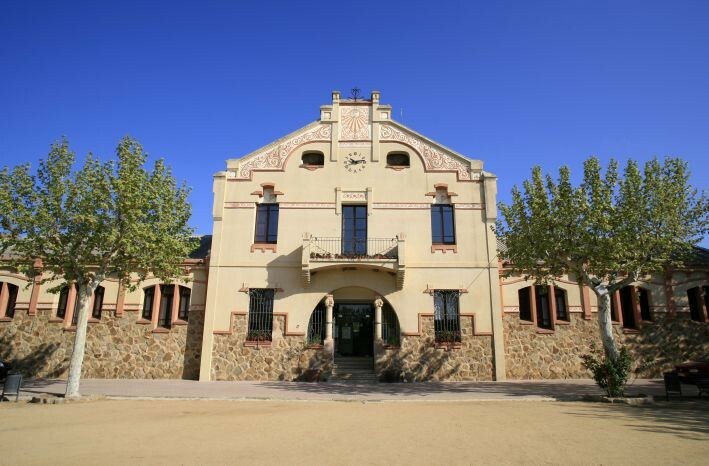 L'Ametlla del Vallès is a town located in Catalonia's Vallès Oriental region, nestled in the Congost valley and with a very mild climate during the summer months, which made it one of the main summer tourist destinations during the Modernista era. 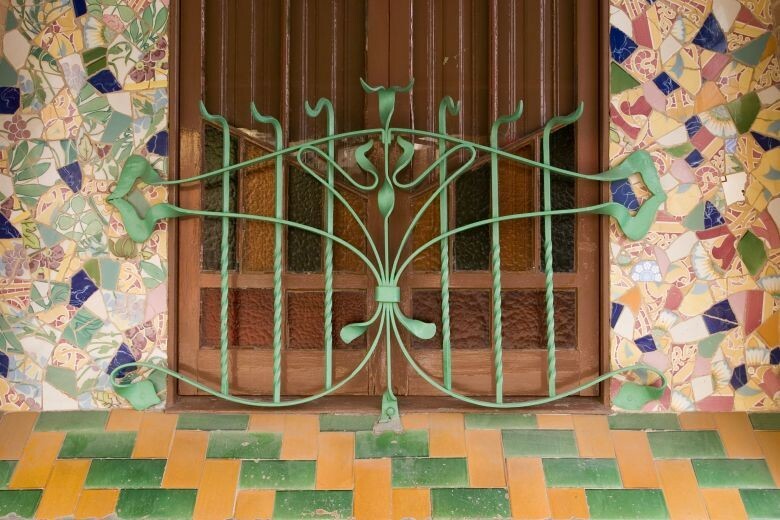 It is one of the towns in the region where the Modernista architect Manuel Joaquim Raspall left his mark. He was named the town's municipal architect in January 1906, shortly after having completed his studies, and left an important architectural legacy there. In the same year as his appointment as municipal architect, he developed an urban planning project to reform L'Ametlla del Vallès' old town and extend its new area. In 1911, he designed the entrance staircase for the parish church, which has since been greatly changed, and its surrounding gardens. Finally, he designed a fountain in 1932, although this is beyond the time period that we are interested in. The most important public building on which he worked, between 1910 and 1913, was a project for the town council and its schools. The building comprised three main sections: a central body made up of three floors dedicated to the town council and lower lateral blocks for separate boys' and girls' schools. It is a standard stone construction with exposed tiles around the openings and a semicircular main entrance arch divided into three by thin columns. A highlight of Raspall's private commissions is a house and café built in 1906 for Sebastià Bassa. It is a three-storey party wall building with standard brick walls and ceramic ornamentation arranged in small rows and on the windowsills. Finally, it is worth mentioning an attractive architectural work outside the town, the reformation of Can Millet de Baix, which now houses a home for the elderly. 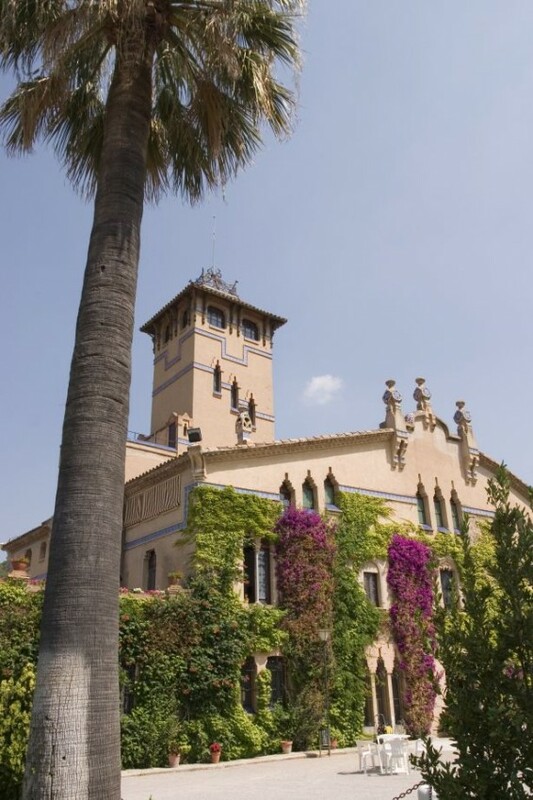 It was a large country house belonging to the Xammar family dating back to 1640 and was acquired by Joan Millet, brother of the musician Lluís Millet. Raspall worked on its reformation between 1908 and 1909. He maintained the house's basic structure, general look of its façade and dual windows and introduced a triple-window element on the ground floor that recedes sharply under the roof and at the access to the tower. He crowned the building with an original gable roof and added a tower, giving the building a certain summer mansion appearance. The façade's bright tone is broken up by lines of blue tiles. 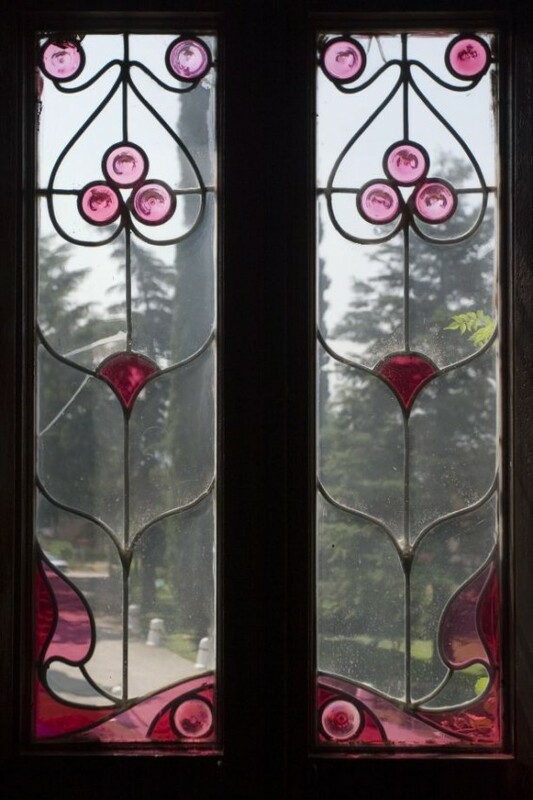 The interior is of a very high quality and well preserved, with ceramic panels, an original totally asymmetrical fireplace and high quality wrought ironwork.